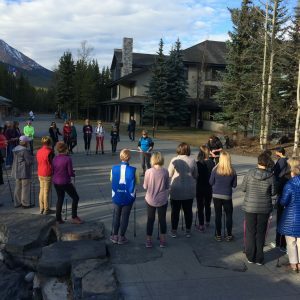 I recently had the opportunity, at the Physiotherapy Alberta – College + Association – Conference in Kananaskis, to share the benefits of pole walking with colleagues. 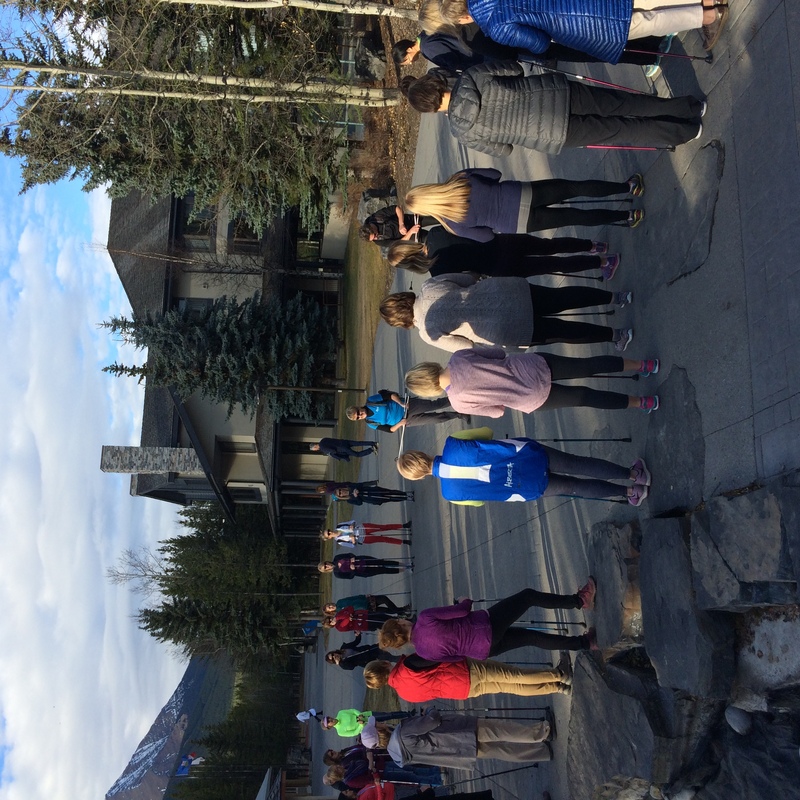 It was a fun afternoon, as a group of us learned the correct way to pole walk for ourselves and for our patients. Because of various injuries to my lumbar spine, I am unable to run. I recently discovered pole walking as an excellent alternative exercise to simply walking. The benefits for me are an increased work load in my core muscles, greater use of my arm muscles which means more energy use, and better arm swing which leads to greater mobility throughout my spine and a looser spine as a result. I have also tried to be more prescriptive with my patients about using poles the past few months. I have noticed, and my patients will back me up on this, that a more symmetrical or even gait pattern is achieved when walking with poles versus walking with a cane. I have also found that patients with a joint replacement experience better pain relief and greater endurance or stamina when using two poles when doing their distance walking, rather than using a simple cane or crutch. Add to that the benefits I described above and it is clear to me the advantages of pole walking.